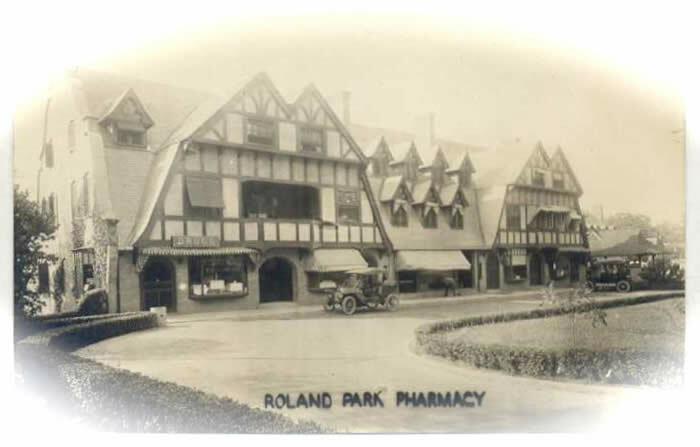 Begun in 1891, Roland Park is an early example of a planned suburban community. The Roland Park Company’s Edward Bouton joined with the prominent landscape design firm of Olmsted Brothers and created what remains one of Baltimore’s preeminent residential districts. This design team later developed Guilford and Homeland as sister communities, before going on to develop Original Northwood and downtown Dundalk. As neither Baltimore City nor Baltimore County were governed by zoning laws in those days, the Roland Park Company regulated development through a series of restrictive covenants placed in each deed. 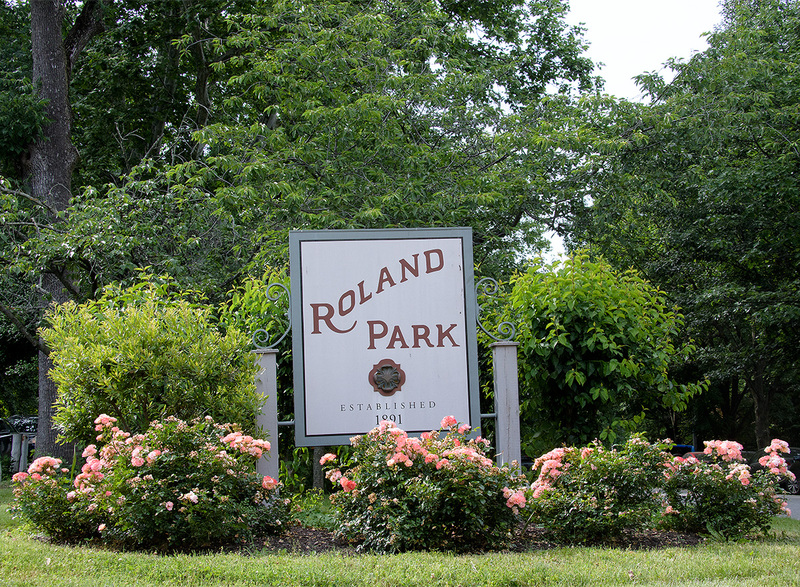 The restrictions in Roland Park governed sanitation, design, aesthetics and land use. At a time when 90 percent of Baltimore City relied on outdoor privies, Roland Parkers were required to have indoor plumbing. Livestock was prohibited. Most importantly for today, the covenants set standards for house placement and construction and mandated residential use of the lot. A permanent fee was also set, the proceeds of which were used to develop and maintain the sewers, water supply, streets, lanes, paths, sidewalks and common lands. By 1909 the earliest sections of the Park were essentially complete, and the Roland Park Company set up the Roland Park Roads and Maintenance Corporation (R&M) — transferring to it the common lands, covenant enforcement, and the collection and management of the maintenance fee (functions previously undertaken by the Roland Park Company itself). All stock in the corporation is now held by the Roland Park Civic League (organized in 1895 and incorporated in 1907). The officers and plat representatives of the Roads and Maintenance Corporation were and are all volunteers from within the community. At midnight 31 December 1918/1 January 1919, Roland Park was annexed by Baltimore City, and between 1922 and 1925 Roads and Maintenance deeded the streets and the sanitary and storm water systems to the city. The city also gradually assumed services such as street lighting and trash removal, which had been a corporation responsibility prior to annexation. In 1922, a homeowner unsuccessfully challenged the corporation’s right to collect the maintenance fee. In Wehr v. The Roland Park Company et al., the courts ruled that the maintenance services specified in the deeds were not an indivisible package and services could be transferred to the municipality without voiding the deed agreement. The right to collect the maintenance fee was again upheld in 1977. In The Roland Park Roads and Maintenance Corporation v. Glover, the court ruled that the corporation need not show that services equal in value to the basic fee were rendered to an individual homeowner but, rather, it need only show that the funds were spent on appropriate services in the community in general. Annexation also brought the community under city zoning laws, which were very new in the 1920s. To this day, however, the covenants remain in effect on most properties. Homeowners must satisfy both city and community regulations. The Plat 1 covenants survive in the original form. The covenants in the other plats expired at set intervals and have been variously renewed. The Roland Park office can confirm the existence of a covenant for individual property owners and provide a copy of the covenant if your realtor or title company has failed to do so. The covenants work to preserve the character of Roland Park. They do not create a strict historic preservation zone. Alterations and new materials are allowed if they are compatible with the original property. If one aspect of the planning of the Roland Park Company could be faulted, it would be the failure to provide a mechanism to periodically increase the required maintenance fee. The “basic fee” charged by the corporation is the same amount levied a century ago. To put our income and expenses in perspective, this fee was once approximately 25 percent of the property tax. The fee is now a rounding error compared to most Roland Park property tax bills. Our files show that the corporation celebrated its improved financial outlook at annexation by raising the work crews’ pay from 7 to 9 cents an hour! A century of inflation has made serious inroads into our purchasing power and has necessitated many changes over the years. We ceased to directly employ workmen in 1979, and our equipment was subsequently sold for scrap. All work is presently contracted out and supervised by volunteers. Visit this page to learn more about the current services provided by Roland Park Roads and Maintenance.